If there’s one thing we can all agree on in this time of political and ideological turmoil it’s that a good Netflix binge is the best way to spend a weekend. Getting your teeth stuck into a great series and spending hours upon hours in the world you’ve fallen in love with – that’s true happiness. Well we have found just such a series for you, and we don’t want to big this one up too much, but it seriously could be the best thing Netflix have ever made. 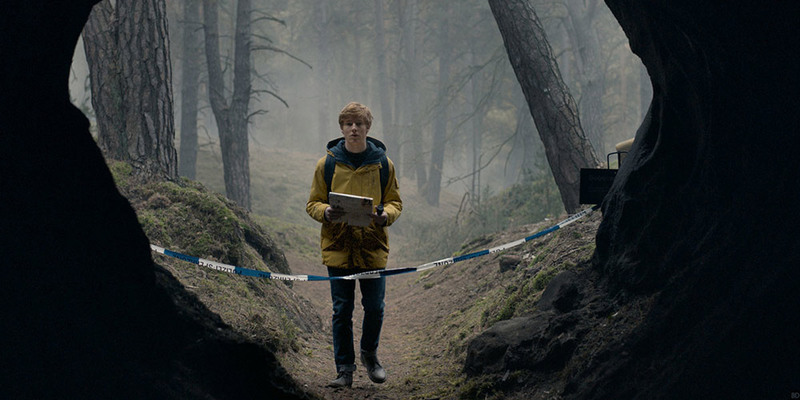 The show is called Dark, and it is the streaming giant’s first foray into German language productions, but don’t let the language barrier put you off. You can watch the show with an English audio dub, though personally we would recommend you switch that setting and get your subtitle game on. The show is like a mixture of Stranger Things, IT, and things altogether more dark and gruesome. It wears its influences on its sleeve, but is by no means derivative of those influences. The show is set in 2019, and opens with a middle-aged man who seals an envelope which reads, ‘do not open before November 4th, 22.13’, before hanging himself. Now that’s not a spoiler, it happens right at the beginning of the show, so don’t start. The action takes place in a small German town called Winden, which isn’t at all dissimilar to Stranger Things‘ Hawkins. And just like in Hawkins, a young boy goes missing, and police are absolutely stumped about who nabbed the little one. So what do a bunch of kids do? They decide to wander into the forest. Not to look for young Erik, mind you, oh no. They decide to go looking for the missing kid’s weed stash. As they’re looking through the woods, the clock strikes 22.13. Which is precisely the date and time which was on the envelope left by the guy who killed himself earlier. Coincidence? This show is seriously dark (sorry), and much more adult than the shows it draws comparisons from, but it’s so infernally gripping that you won’t be able to stop yourself from powering through in one sitting. The similarities to Stranger Things are, in truth, a distraction from Dark’s own quality, although it might have made more sense to tone down the echoes of Netflix’s other disappearing child show so that it could stand on its own. But for fans of slow burners, such as Les Revenants, this will fill a noirish hole and bring a bit of classy obsidian darkness to the yuletide binge schedule. Fans on social media are also extolling the virtues of the new series, and are urging their friends to join them on the horrifying binge. I’ll be honest, ‘Dark’ is in my opinion the best thing Netflix has ever produced, by a good margin. 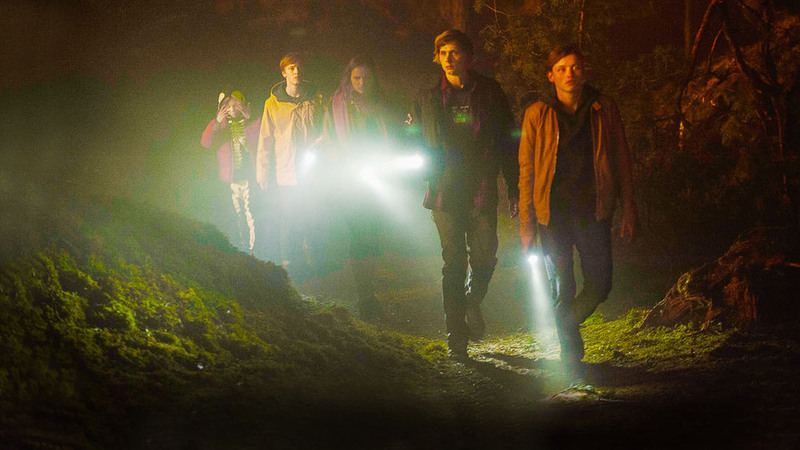 The first German Netflix series ‘The Dark’ is seriously so good. Jesus. Just watch it. Thank us later. You can watch all ten episodes of Dark on Netflix now.